After completing an Advanced Diploma, students can study for the BSc (Hons) in Electrical and Electronics Engineering - University of Northumbria, UK/Singapore. 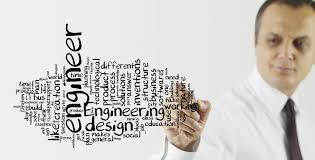 Students on pending A/L results can apply for an Engineering Degree, awarded by a UK university. In fact students who only possess the GCE (O/L) qualification can follow the Monash University Foundation Year Programme or another relevant Foundation programme that leads students to an Engineering degree. Thus, at the ANC Education, on completion of a relevant Foundation Course, students can enter to a Degree Programme in the following Engineering areas. At the ACBT, students who possess O/L qualifications can enter the Certificate Programme in Engineering. After completing the Certificate Programme, students can study for an Engineering Degree either in Sri Lanka or abroad.